Hard Hitting young batsman Dalrymple and All-Rounder Rishton, bringing strong form into the 2018 season. In and around this typically wet April weather, some of our Henley CC players have been plying their trade in School & University matches, with some success! 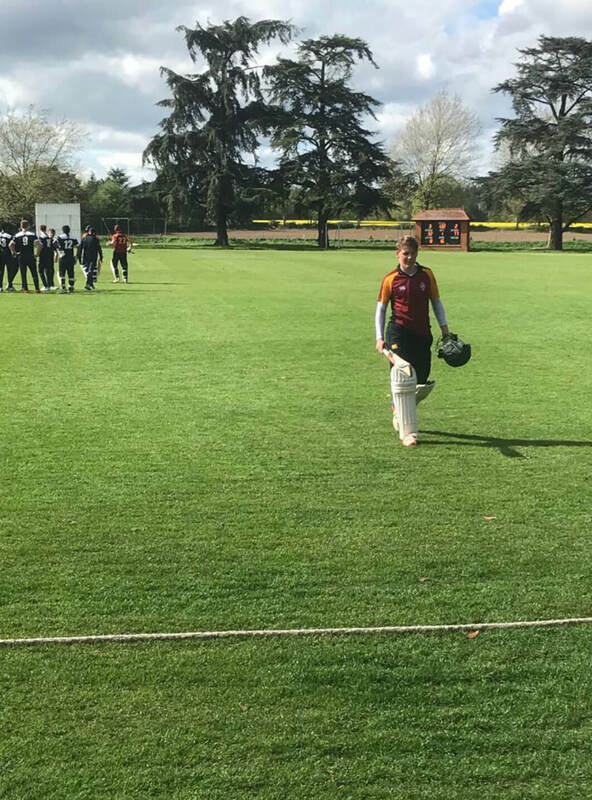 Congratulations to young, powerful, South African batter Matt Dalrymple, who cracked 77 earlier in the week, in a low scoring match between Shiplake 1st XI and Blue Coat 1st XI. Dalrymple’s 77 underpinned a winning total of 154. In reply, Blue Coat could only muster 136, putting Matt’s score of 77 into some further perspective. Well done Matt. Fresh from playing 1st Class Cricket earlier in the month, new recruit Andy Rishton, claimed fantastic figures of 5-41 from 18 overs in the BUCS Championship Match between Loughborough & Cardiff at Usk CC. Andy also made a handy 29 in the Loughborough innings and his all round contribution helped Loughborough secure a comfortable first innings victory.